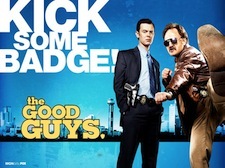 Colin Hanks, last seen in prime-time as Bradley Whitford's straight arrow detective partner on Fox's made-in-Dallas The Good Guys, has landed a fine post-cancellation consolation prize. 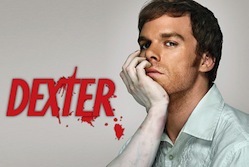 Showtime announced Tuesday that Hanks will be in all 12 episodes of Dexter's Season 6, which will launch sometime this fall. He's cast as Travis, described as "a highly intelligent young expert on ancient artifacts who gets linked to a series of grisly murders in Miami." ***Not that this is a surprise, but Fox officially has renewed House for an eighth season next fall. Contracts had to be renewed and re-negotiated at the seven-year mark, but it got done. The network announces its complete fall lineup this Monday. ***Throw another Texas-set "reality" series on the fire. WE TV's slate of new programming includes Texas Multi Mamas, scheduled to premiere on Tuesday, October 25th. The network says you'll be enthralled by the rearing of "bountiful broods" by moms who each bring a "distinct personality and point of view to the drama -- convinced that only her way is the right way." So there's going to be "plenty of chaos, fun and lots of love" en route. ***CBS has the summer premiere dates in place for the returning Big Brother and the new Same Name. Again hosted by Julie Chen, the 13th edition of BB arrives on Thursday, July 7th. It'll air three nights a week, on Wednesdays, Thursdays and Sundays. Same Name, which matches celebrities with commoners who share their name, will launch on Sunday, July 24th. As previously posted, David Hasselhoff will journey to Lake Jackson, TX in the first episode to meet high voltage power technician/landscaper David Hasselhoff and his family. They'll then trade places for a while. CBS also has announced that Neil Patrick Harris is returning as host of the Tony Awards. The 65th annual ceremony will be on Sunday, June 12th.